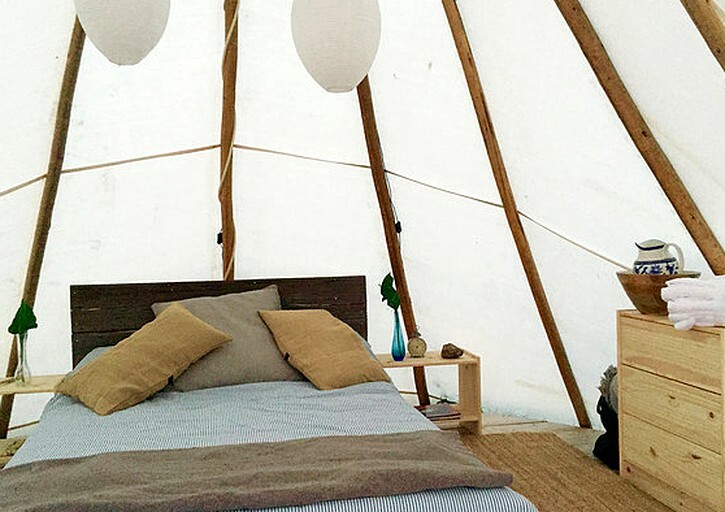 This pet-friendly tipi is located in Outlook, Saskatchewan, and can accommodate two guests for a luxury camping experience. 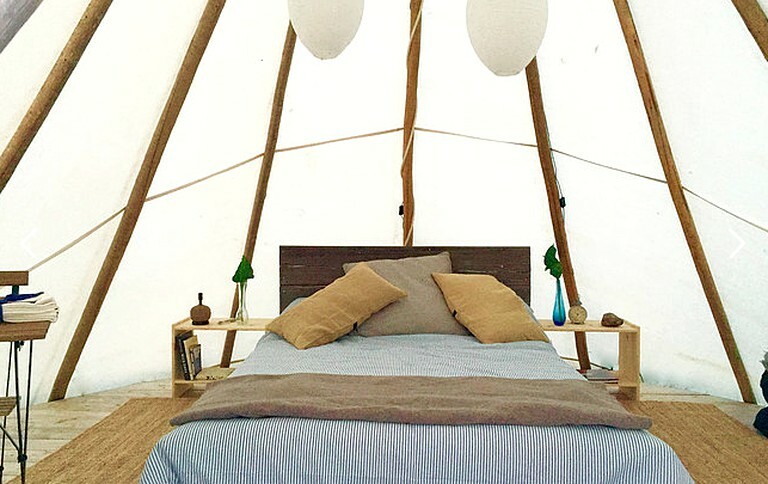 The lovely solar-powered tipi has a double bed and bedside tables. There is also a dresser, along with a small table and chairs. Guests are welcome to use the shared composting toilets, the free solar-powered showers, or the coin-operated hot showers. Laundry facilities are available as well. Linens can be rented. Guests of this stunning property will enjoy fire pits and picnic tables. Firewood is provided. They are also welcome to use the shared coin-operated hot showers, the free solar showers, and the laundry facilities. A lovely lilac maze is waiting to be explored. There are incredible hiking and biking trails that wind their way from the rental, along with direct river and beach access. A winery is directly next door. Linens and bedding are available for rent. This serene property is situated on the hills above the gorgeous South Saskatchewan River near Outlook, Saskatchewan, Canada. 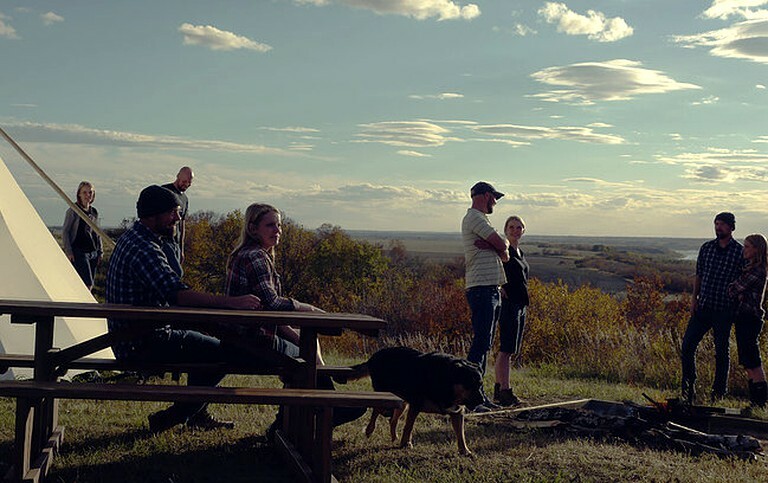 The property is surrounded by native prairie and a stunning wooded valley. Glampers will have direct access to acres of beautiful, sandy river shoreline. The rental is also located directly next door to Wolf Willow Winery. The beautiful 100-acre Outlook and District Regional Park is home to Riverview Golf Club, scenic trails, and a spot along the river to launch kayaks and canoes. Guests will have easy access to acres of the sandy riverside shore, where they can go sunbathing, swimming, kayaking, canoeing, and paddleboarding. Nature walks along the river are another pleasant way to spend the afternoon. The wooded valley is full of scenic trails that are ideal for hiking, biking, running, and exploring. Picking fresh berries is also an activity both adults and children will adore. There are picnic tables on the property, which are perfect for sharing an afternoon meal. 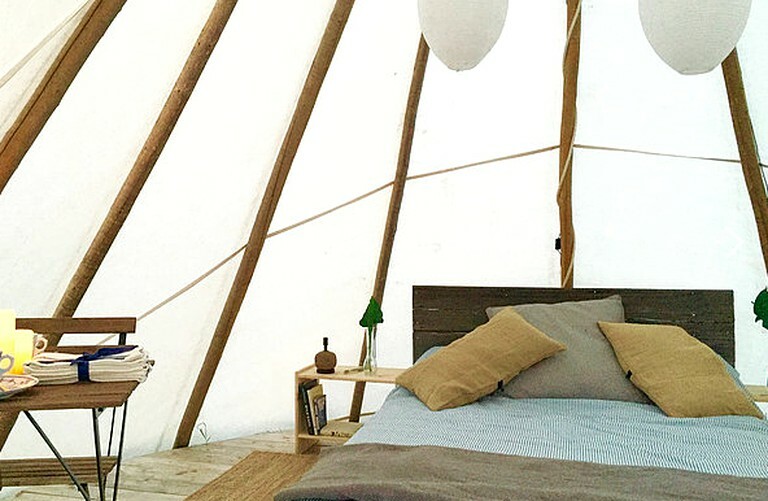 Glampers can also make use of the barbecues, preparing food with family and friends. The rental is next door to Wolf Willow Winery, where guests can sip wine and enjoy a gourmet meal. For more hiking trails and river access, there is no place better than the 100-acre Outlook and District Regional Park. Guests can also make use of the Riverview Golf Club, or enjoy a drink and a game at Dakota Dunes Casino. Pets are welcome. They are allowed in the accommodation, but not in the shower facilities or other buildings on-site.